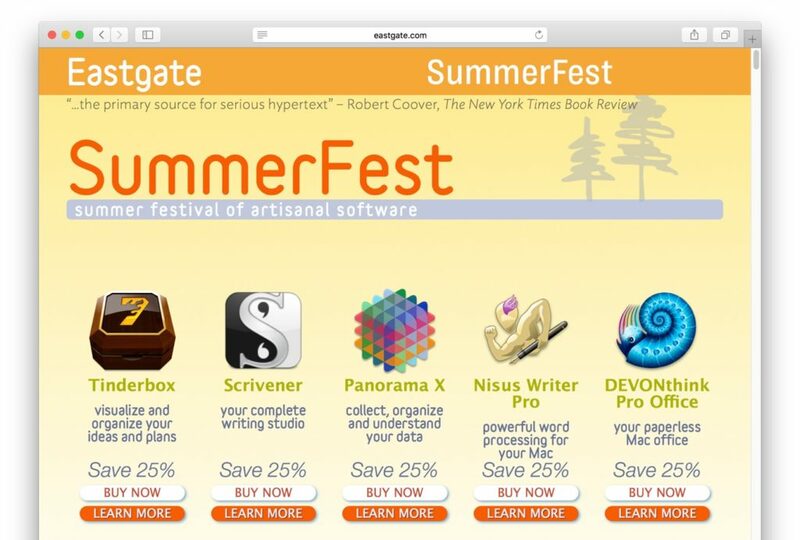 ScrivenerやDEVONthinkなどのMac用文章作成アプリが各25%OFFとなる「SummerFest 2018」が開催中。 | AAPL Ch. We have joined up with several of our favorite indie developers for SummerFest 2018. Now, for a limited time, you can save 25% on handcrafted software for your Mac.